We can dream, can’t we? 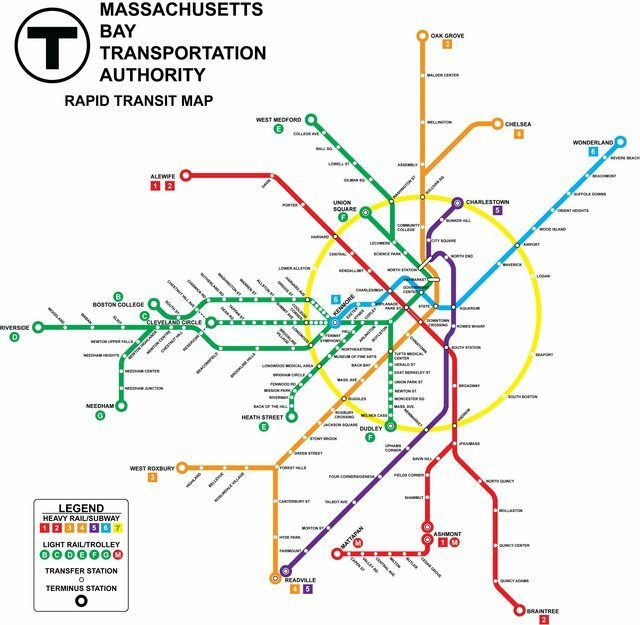 This revised MBTA map, courtesy of Reddit, shows how public transportation in Boston could be a whole lot easier. Annoying transfers, unreliable buses, and the Green Line – tardy at its best, dangerous at its worst – are part of life for Greater Boston’s car-less masses. But does it have to be that way? But the real crown-jewel of the map is a brand new “Yellow Line,’’ which loops around the city to connect every major line. Currently, a commuter going from Roxbury to Cambridge has to ride the Orange Line all the way into the city, only to transfer to the Red Line outbound again. With the Yellow Line, you could get on at Ruggles and go directly to Harvard, cutting commute times dramatically. Yeah, we’re salivating too. The kicker? We’re not likely to see any of these changes in the near future. The map does not account for the financial burden of large-scale transit projects. It would be pricey and invasive to complete just one of these extensions, forget about all of them. There is one silver lining (no, not a Silver Line). It’s called the Urban Ring, and it is essentially a less-pretty Yellow Line. Proposed by the State, it is designed to improve connections, offer direct trips, and “relieve congestion in the core of the MBTA system.’’ The project has been suspended as a result of insufficient funding, but similar systems have been implemented successfully in Moscow and Beijing. It’s wishful thinking, but maybe Boston could catch up one day.